If you’ve been looking for a way to advance your home cinema game, you’ve come to the right place. In this handy list, you’ll find the best 4K Blu-ray player for your needs and budget. So you’ve got your 4K TV all set up, you’ve upgraded your Netflix subscription and you think you’re ready to enjoy all that 4K has to offer, right? Well, not quite. While 4K and HDR streaming is a really accessible way to experience the joys of 4K, the very best performance in terms of both picture and audio quality is going to come from a 4K disc played on a 4K Blu-ray player. Thankfully, unlike most areas of tech, the 4K Blu-ray player market is still relatively small, so you only have a small selection of big names to choose from. In contrast, after an arguably slow start, the number of discs available is now really starting to pick up, with most of the year’s big releases set to launch in this format. Panasonic’s DMP-UB900 was one of the first 4K Blu-ray players on the market, and the DP-UB9000 replaces it as Panasonic’s flagship player. It’s the most ambitious player we’ve seen from the Japanese brand, one uniquely suited to coping with the many variants of HDR. Not only does it support your standard HDR10, but Dolby Vision and HDR10+ dynamic metadata. In that sense it covers all the bases. From a picture point of view the UB9000 may well have the best picture quality of any UHD disc spinner so far. It has a picture that’s both smooth but filled with an astonishing amount of detail. When it comes to audio it sounds good, perhaps not audiophile quality but impressive nonetheless. As of now (December 2018), the UB-9000 wears the crown of being the best 4K player market. The only issue for most punters would be that price, but this is a player that justifies the outlay. The Oppo UDP-203 is a chunky unit, with an impressive list of features and a proprietary processing engine for better 4K imaging. It doesn’t scrimp on connectivity with built-in Wi-Fi and a full set of phono audio-line jacks for 7.1-channel audio. There’s support for Dolby Vision, as well as just about any file or disc format, including SACDs and high-res audio files up to 32-bit/192kHz and multichannel DSD64/128. HDR images look punchier, peak bright detail more extreme, and deepest blacks darker and more nuanced. Colour reproduction is also richer without looking unnatural, and detail is sharper and more defined. No other player came as close to squeezing every last drop of picture quality out of 4K. However, Oppo announced in 2018 that it ceased production of the player. The Oppo is still available, but stock is low. Warranties will still be honoured and updates made available (from time to time), so if you’re still interested, the time to get one is now. 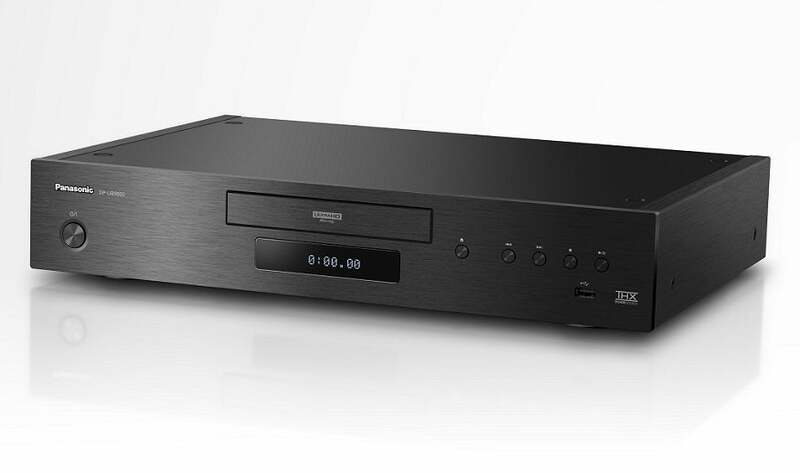 The Sony UBP-X800 is a 4K player with a difference. Not only is it one of the best decks on the market, it moonlights as a universal audio disc player and a hi-res audio player, too. Connectivity is extensive, although it’s strictly a digital affair here. There are separate HDMI outputs for audio and video, a coaxial output plus Bluetooth and dual-band Wi-Fi to boot. There’s also support for high-res music playback and an extensive range of both video and audio formats, including SACD. This deck only has support for HDR10 and comes with plenty of apps in Amazon Prime, Netflix, YouTube and numerous catch-up services. Images are astoundingly sharp, with no undue artefacts or distractions and colour rendering is supremely accurate. The UBP-X800 does an equally great job with standard Blu-rays too, and sounds superb with music. All in all, a bit of a bargain then, for film and music lovers alike. Related: What size TV should I buy? Panasonic hasn’t cut corners with the DMP-UB700. Not only is it compatible with 4K discs, standard and 3D Blu-rays, DVDs and CDs, there’s also a well-stocked app portal. Connected services include BBC iPlayer, Netflix, Amazon Video and YouTube – though at the time of review Amazon wasn’t streaming HDR (that appears to have been resolved). On the rear are two HDMI outs for separate audio and video, plus an optical out too. There is still Wi-Fi on board though, plus Ethernet, should you want to hard wire. Picture quality is great. It’s been surpassed by more recent players, but still offers first-rate detail and colour accuracy. The audio doesn’t support DVD-Audio and SACD, but you’ll still get pretty decent audio compatibility, including 24-bit FLAC streaming and DSD support via USB, which sound superb. The Samsung UBD-M9500 fills the gaps that left its predecessor overshadowed by the Panasonic DMP-UB900. The interface is better, the set-up process more simplified and the design improved. Connectivity is a limited than some others, but still offers two HDMI outputs for splitting the video and audio signals and an optical out. There’s also built-in Wi-Fi, Bluetooth and a USB port for connecting thumb drives. Format compatibility is a little stricter. There’s no support for 3D Blu-ray, nor SACD or DVD-Audio discs, although it can play high-res files up to 24-bit/192kHz. There’s no Dolby Vision, but there is support for Samsung’s preferred HDR10+. 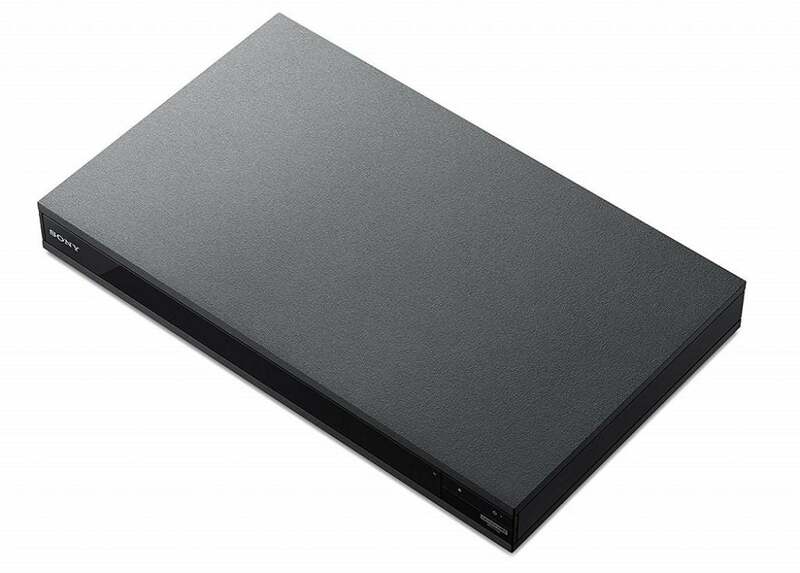 As for its performance, the UBD-M9500 is quick to load discs and serves up enjoyable UHD Blu-ray pictures, with masses of fine detail and truly life-like colours. Clarity and colour purity are top-drawer too, and we weren’t able to make out any banding, block noise or other artefacts. 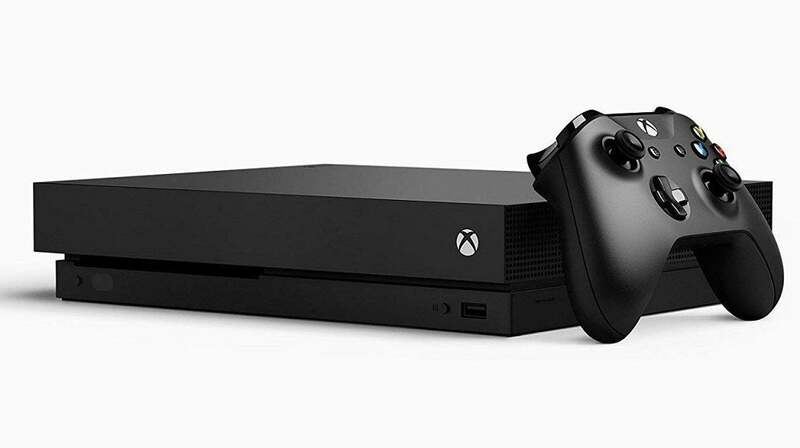 As well as being two of the best gaming consoles on the market, the Xbox One X and the Xbox One S also double as good UHD Blu-ray players. If you’re a film fan as well as a gamer, that’s a reason to consider getting one over the PS4 Pro. Load times are fast and both consoles have no problem showing off all the advantages of 4K, with remarkable clarity, minute details and lifelike textures. You also get noticeably higher dynamic range, which isn’t just about bright highlights and inky blacks. It’s also about the detail in between, which the Xbox picks out with precision, making HDR images look outstanding. There’s support for Dolby Atmos audio, as well as a slew of built-in smart TV apps, including Netflix, Amazon Prime and iPlayer. Don’t expect the same quality as the top-end 4K Blu-ray players, mind. Those will handle things with more nuance. This is a copy protection technology aimed to prevent piracy. Ultimately all elements in your setup need to support it in order for 4K content to play. All of the 4K Blu-ray players in our round-up do that – but just be sure the HDMI port you use on your TV or AV receiver does as well. HDMI 2.0 is the most recent HDMI standard, which brought with it a few upgrades that will make a difference to viewing in 4K. This includes 50Hz and 60Hz refresh rates, 10-bit and 12-bit colour depth, plus improved audio support. As with HDCP2.2, you’ll want to ensure all components in your system feature it – some devices may only have certain ports that use it, so double check you’re using the right one. High dynamic range is a picture processing feature that is steadily going hand-in-hand with 4K, allowing for bolder colours, brighter whites and improved detail in shadows and highlights. There are several formats now – the standard HDR10, the broadcast standard HLG and the two competing advanced frame-by-frame formats, HDR10+ and Dolby Vision. Most Blu-ray players and TVs support the first two, but if you have a preference on the more advanced format, be sure to check both your Blu-ray player and TV support it. To help you decide, Dolby Vision has made it to a number of discs so far, but there are no HDR10+ compatible discs available at the moment. But with growing support, including the thumbs up from Warner Bros, we’d expect that to change by the end of 2018. From a streaming perspective, it’s split down the middle, with Amazon Prime’s video catalogue supporting the former, and Netflix featuring the latter (though it hasn’t ruled out HDR10+ support in the future). Related: What is HDMI ARC? Abbreviations aside, you’ll want to think about what else you’d like your Blu-ray player to be able to do aside from playing Blu-ray discs. Some double up as a media player to play back your CDs or even SACDs, and others have support for high-res streaming, including DSD files. Those hanging on to 3D Blu-ray discs may also want to double check their player supports them, as this functionality is being phased out across the board. There’s also connectivity to think about, such as whether you’ll require Wi-Fi or not. If you’re happy to hardwire via Ethernet, you might be able to spend less on a more budget player. At the other end of the spectrum, more expensive players will give you more options when it comes to connecting your Blu-ray player to your AV receiver, including separate video and audio outs, or a full set of 7.1-channel analogue audio outputs. A lot of Blu-ray players also have built-in smart TV or OTT (over-the-air) apps for streaming 4K content from the likes of Netflix, Amazon Prime and YouTube. It’s very likely your TV also supports this, but if you don’t like the interface, or it’s missing a few things, look out for a Blu-ray player that can fill in the gaps. Finally, a display on the front of a Blu-ray player can sometimes make all the difference when it comes to operating it. Not all of them have them, so it’s worth double checking if ease of use is important to you. We watch a lot of 4K Blu-rays, obviously. But before we get there there’s the matter of plugging things in, and we spend time checking out whether a 4K Blu-ray player has the barebones single HDMI, or twin HDMI to separate out sound and vision, plus multi-channel analogue audio output. All that stuff matters if you’re going to set up a home cinema. When we do get to the discs, there’s the matter of loading. We care how quickly the disc tray loads, and whether it rattles. We care about loading times, how quickly you go from disc insertion to getting to the main menu. While things load, we’ll also take the time to scour the specs sheets to check for format compatibility. Then it’s time to watch 4K Blu-rays, and we pay attention to the picture and sound quality. No, they’re not the same. The discs all put out the same information but every 4K Blu-ray player processes them differently. We look out for the best balance of detail, subtlety, vibrancy and realism. If there are promises such as Dolby Atmos, we pay special attention to the precision of effects placement. After all this, we sweat the small stuff. Is the remote easy to use, particularly in dark rooms? Is the system interface easy to navigate? Finally, every element is judged against the price. If a machine represents good value generally, we’ll be a little more lenient on a bad remote. Pricier machines, however, had better be stunning. The post Best 4K Blu-ray player – because discs are better than streaming appeared first on Trusted Reviews. Prolist Top Tech © 2019. All Rights Reserved.